Severn Stars made a late comeback to beat Celtic Dragons in a scintillating match. Stars stormed ahead early on but the Dragons forced their way back to take 31-27 lead at half time. Dragons goal shooter Chelsea Lewis went off injured at the beginning of Quarter four disrupting the home teams flow. Stars took advantage and clawed their way back into the game to eventually win the game by one goal in a nerve wracking final minute. Celtic Dragons next game is away to Manchester Thunder on Saturday, 6 April whilst Severn Stars host Strathclyde Sirens. 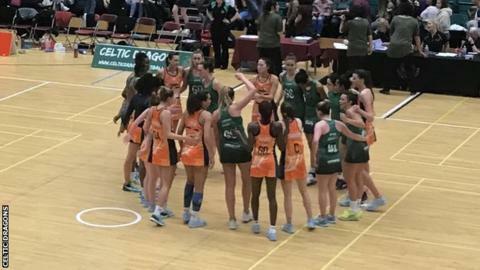 Celtic Dragons head coach Tania Hoffman said: "I'm frustrated and disappointed to have been up by eight goals and to lose by one. "I didn't think the change at goal shooter would have mattered but we as a team have to learn to play players into the game when they come off the bench"
"I thought we had it in the bag in the last quarter. We have got to learn to be able to dig deep and treasure the ball when we have it." Give it a go yourself!